The French overseas collectivities of Saint Martin and Saint Barthelemy have a maritime boundary with the Dutch constituent country of Sint Maarten in the Caribbean Sea. 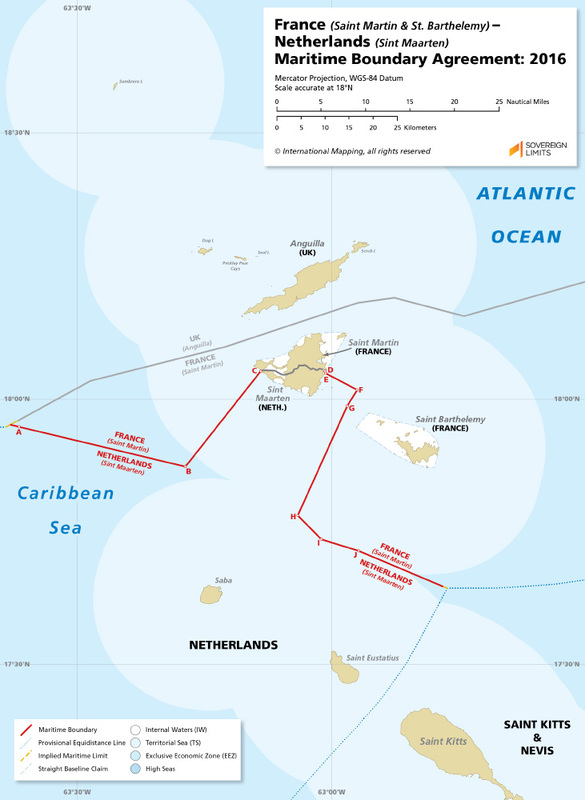 On 6 April 2016, France and the Netherlands signed a maritime boundary agreement, which was ratified on 1 April 2017. It is divided into two parts, with the western section beginning at point A near the tripoint with the British territory of Anguilla and extending for 33 nautical miles (M) to point C on the coast of Saint Martin/Sint Maarten, and the eastern section beginning off the coast of the disputed Oyster Pond from point D for 38 M to point J.